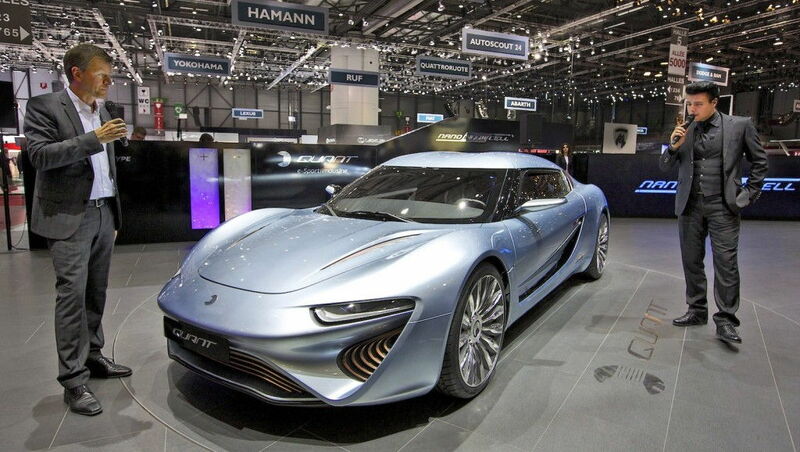 A car called the Quant e-Sportlimousine and presented at the 2014 Geneva Motor Show is the first electric car powered by salt water and is now certified for use on European public roads. “For the first time an automobile featuring flow-cell electric drive will appear on Germany’s roads,” said Nunzio La Vecchia, chief technical officer at NanoFlowcell, a company which designed the car. A few months after making a debut at the 2014 Geneva Motor Show, the Quant e-Sportlimousine underwent an in-depth inspection and received official approval to be tested on public roads in Germany and Europe from certification provider TÜV Süd based in Munich, Germany. The car is powered by the electrolyte flow cell power system, which is a part of the NanoFlowcell technology. The system works in a similar way to a hydrogen fuel cell, except for the fact that salt water is used for storing power. In particular, two liquids with metallic salts, which act as the electrolyte, are combined in such a way that the electrochemical reaction takes place. After that, electric motors use this reaction to generate electricity, which is then stored and distributed by supercapacitors. The efficiency of this system reaches 80%, since the car has almost no moving parts in it, and the produced waste heat is insignificant in comparison with cars powered by lithium-ion batteries. The company claims that the Quant e-Sportlimousine can reach the speed of 350 km/h (217.5 mph), accelerate from 0-100 in 2.8 seconds and has the maximum power of 920 horsepower (680 kW). Moreover, the car is claimed to be able to travel up to 600 km (373 mi) with a full tank, which is five times greater than with a conventional battery system. At the same time, the car is safe to drive and environmentally friendly. However, the market price of the Quant e-Sportlimousine is estimated to exceed $1.7. It is not yet clear if the company plans to use the NanoFlowcell technology on more affordable cars, but it can be said for sure that this technology has great potential and could be used in a wide range of applications which go beyond the automobile industry.